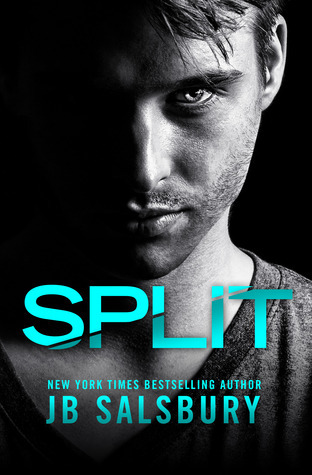 Well, this was a surprise, and quite frankly, we feel- for the reader to achieve the full emotional impact and the surprise/shock factor of Split, it is best to go into this book spoiler free to ensure you are as surprised as we were! The author has been vague in the synopsis and purposely omitted information so as to surprise the reader and to be honest, had we known the ‘twist’ or the guts of this story in advance, it would have lessened the impact of this story and thus our enjoyment. So steer clear of spoilers! We’ve loved some of JB Salsbury’s MMA romances and whilst this story is quite the departure from her previous works, there is no doubt this suspense romance still maintains the style which has made this author a hit. We dare you to read the prologue of Split and not become immediately gripped! We will admit for about the first 30% after the prologue, we found the characters spent a lot of time inside their heads which had the tendency to slow the story down a little but we fully appreciate it was necessary in order to build the characters and formulate the story. And again, our riveting desire to flip the pages at this point all went down to the surprise element of this story which for us was paramount. Had we known the reveal at this point, we don’t believe we would have felt the same compelling pull we experienced anticipating and guessing what was to come. We couldn’t stop turning the pages to see how this story unfolded, to search for the answers we so desperately sought. The story centres on Lucas who turned up in the small town of Payson and went to work for Nash Jennings and his son Cody. Showing a natural artistry for wood carving and a willingness to work, the quiet, reserved Lucas is immediately welcomed into the fold, with Nash allowing him to live in their cabin. Life was finally looking up for Lucas and for the first time he felt safe and at some form of peace. Shyann Jennings (Nash’s daughter) turned her back on small town life as soon as she could, escaping the claustrophobic town and it’s people to pursue a career in Journalism. She’s about to get her big break when it all goes to crap and results in Shyann returning to Payton with her tail between her legs. Shyann is smitten by the quiet and lonely Lucas, finding a childlike innocent quality to him that draws her to him. Knowing nothing about his past, her inquisitive nature sees her trying to get to the bottom of Lucas and his past. The horrors Lucas experienced broke our hearts. We prepared ourselves for something gut wrenching but were shocked at what had transpired, angry and horrified at those who caused this poor young man such pain and trauma. Lucas’s past was tragic and his coping mechanisms become threatened by his feelings for Shyann. Lucas has never had friends, never let anyone in but Shyann breaks his walls with dire consequences. There is a thrilling, sinister and dark undercurrent to this story, with the sadness underpinning the cruelty within. This story is emotional, clever and it’s loaded with a suspenseful tension that had us on the edge of our seats, though we did have a few questions at the end of the story. Apprehension, nervousness, sadness and heartbreak was cloaked in love, friendship, sacrifice and acceptance. We were desperate to reach the finale of this story and found the epilogue so beautifully fitting; capping off and engrossing read. Lucas spent the first half of his life protecting himself from others, but now his own mind is his biggest enemy. He doesn’t know what happens when the blackouts overtake him, but he can recall the feelings–the rage, the confusion, the fear. Thankfully the quiet life he’s found in Payson, Arizona has kept the darkness at bay. Until his boss’s estranged daughter shows up in town, asking questions she shouldn’t and sparking a desire Lucas can’t control. Getting close to Shyann is the best thing that’s ever happened to him, but when his blackouts return, unleashing the truth he’s battled so long to hide, he may just lose her forever . .